I believe we can officially declare that coat season is upon us. We’ve had a warm autumn here in Kansas, but now the temps are dropping and it’s time to get real about outerwear. One of winter’s most cringe-worthy looks is a sweater that’s too long for its coat. I love wearing long cardigans because they are cozy, and layers are easy to style. But, once coat weather hits, I can’t stand to see sweater tails peaking out from under a coat. A coat should be the finishing touch to an outfit, but it can look ill-fitting and tacky if not worn correctly. 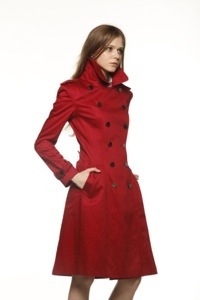 A long coat is a must-have for any woman who wears long tops or dresses. They are classic and classy. The fit of a coat is very important. 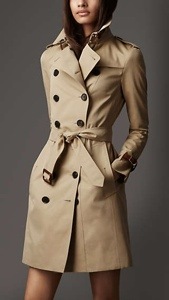 Avoid too loose or big trench coats, as they may end up looking overwhelming on your frame. Well fitted shoulders and figure hugging coats with lapel sizes to match are the best bet. While it makes sense to buy a trench in neutral colors so that you can mix and match it with as many outfits as you can, try buying a few pieces which are bright in colors to brighten your day. Remember to team the bright colored trench coats with neutral colored bottoms. Scarves are a gorgeous way to keep warm, but they also bring a unique look to your coat. To mix things up, you can also try tying the belt differently or buying a coat with fun details, like buttons or piping. Leather, fur, and shearling accents are very popular right now. They can also add a feminine and elegant touch. A good coat is like a well fitting pair of jeans or shoes, you cannot do without it and will always remain in style! Every year I struggle to find a coat that is both stylish and very warm. I always end up with a heavy peacoat. Not the most fashionable. Suggestions? Hi Olivia! Great question. I think the style of coat depends on your body shape/size and where you plan to wear it. I’m guilty of having quite a few coats because I don’t think there is one coat perfect for everything. But, if you are looking for something really flexible, I would go with something more dressy, like a wool trench. Since you are petite, I would suggest something that hits your upper or mid-thigh and is tailored at the waist. Also, pick a color that matches your hair and your skin tone.